"We almost didn't get off the ground", Mitt? "We almost didn't get off the ground"?!? 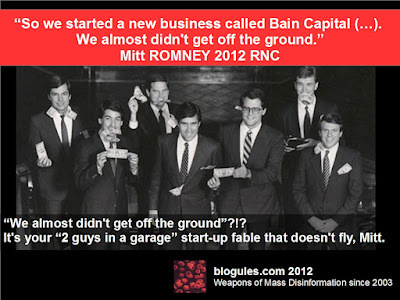 It's your "2 guys in a garage" start-up fable that doesn't fly, Mitt.